There is little explanation needed to understand the wonder that is a Cairn Monthly Subscription Box. 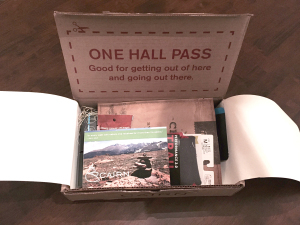 It’s a box full of surprises consisting of outdoor gear meant to “excite and inspire people to get outside and start their next adventure”. What else do you need to hear to pique your interest? For those of you who may not have caught on to the relatively new concept of monthly subscription boxes, here is how it works. You subscribe for a monthly fee just as if it were a magazine. Once a month, you receive a box full of goodies. You have no idea what it is going to be and that is where the fun lies. 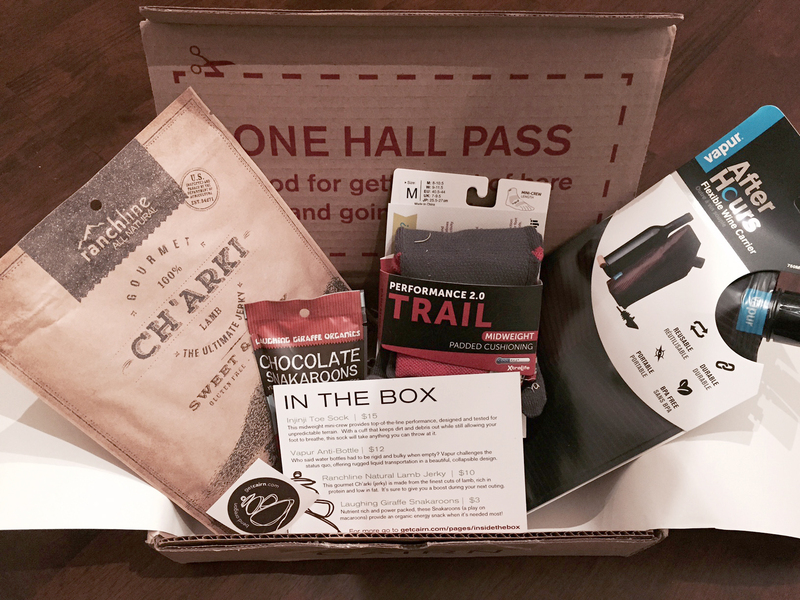 These things exist for all different kinds of interests, but opening up a box to find tasty treats and cool gear specifically tailored to an outdoor lifestyle is my idea of a monthly Christmas! When I received the opportunity to check out a box for myself, I of course jumped on it. The box is so great that I count it as part of the goodies! When I saw my Cairn box sitting on my front steps, it was love at first sight. The box itself was beautiful but the presentation only got better as I opened it up. I was transported back to my days in art school where a sleek and effective presentation is as important as the final product it is supporting and couldn’t help but think that Cairn was passing an end of the semester critique with flying colors. The view upon opening the box. All these minute details won over my heart, but they weren’t even the best part. There was still all of the things inside the box! The first thing that caught my eye was a pair of Injinji toe socks. I have never owned a pair (until now!) but I have always heard from runners and hikers that they are wonderful. My partner during my thru hike of the AT loved them and claimed they were the reason he was able to stave off blisters. Next to the socks was a packet of coconut chocolate macaroons and under that was a package of swanky Peruvian jerky. I ripped open the macaroons, bit into one and passed them to the vegan sitting next to me on the coach, saving the jerky for another time when he wouldn’t have to watch me consume the perfectly seasoned lamb. I loved Cairn’s thoughtfulness with food. Not only where both products top quality and smartly sourced, they also included a variety of dietary options with their selection. For the record, the coconut chocolate macaroons inspired an entire raw food expedition in the kitchen that night and when I got around to the jerky, it was so good that I ate it all in one sitting (though I did attempt to set it down and save part for later, it just didn’t work out that way). The final, and my favorite, item in the box was a Vapur After Hours anti-water bottle. It is a collapsible water bottle that comes with a pouring spout (this in itself is amazing because if you’ve ever tried to fill a flask or narrow mouth bottle without one of these, you know that the struggle is real!) The bottle also just happens to be the same size as a bottle of wine! To me, this is revolutionary in the backpacking world. I always take spirits of some sort out with me on backpacking treks, whether it be wine or whiskey, and the sight of a bottle made for that exact intended purpose made the anticipation for my next trip all the more strong! The coolest thing about a monthly subscription box from Cairn is that all of these items are something I would see (or have seen) in a store and really wanted but would not allow myself to buy. I tend to save my money for the big things like a new sleeping bag or a lighter weight tent and end up forgoing the smaller, fun luxury items. 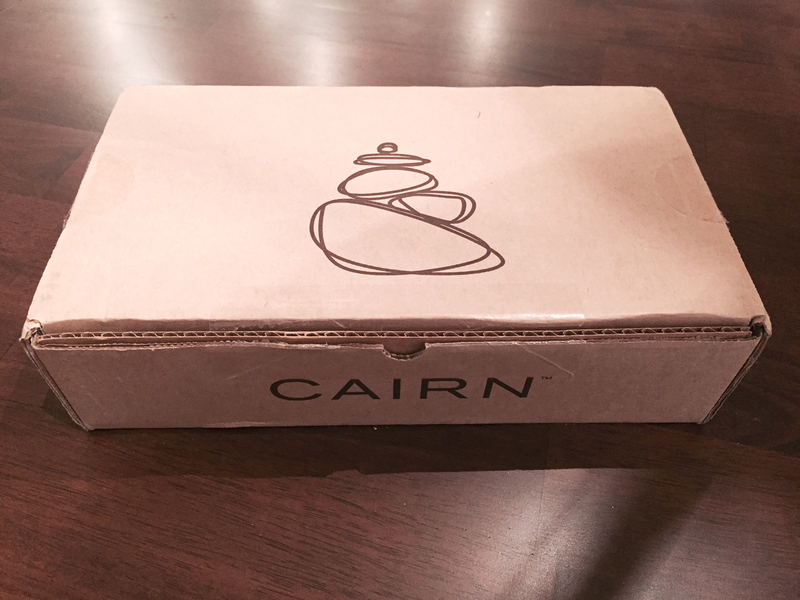 Having all of the items boxed up together in such a beautiful way makes getting a Cairn box an entire experience. Getting my collapsible backpacking wine bottle in a Cairn box is way more special and worth it than if I had bought it at REI the first time I saw one. A Cairn subscription is seriously like a gift box to yourself each month! That’s twelve Christmases a year, folks! 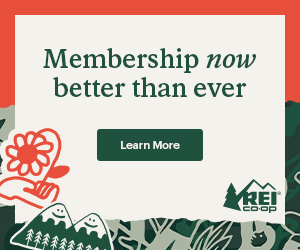 Not to mention, it is a stellar gift idea for any other outdoor enthusiast besides yourself that you may know. It’s hard to choose what to put together for a friend who has all the gear in the world, so let Cairn do it for you! 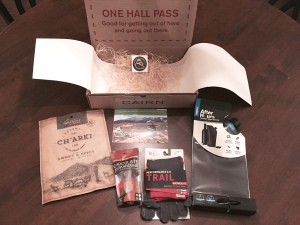 A Cairn box is only $25 a month but the total value in each box ranges from $35 to $40. You can place a one time order to try it out or give it as a gift or you can select subscriptions for 3 month, 6 month, and 12 month stints. The longer your subscription, the higher percentage you get marked off the total price. This little company is not even a year into sending out their wonderful boxes and I can tell that they are headed for some awesome places! I highly recommend jumping on board with them. If you’d like to see example of past Carin boxes, check this out. Disclosure: Cairn donated this box for the purpose of a review.